Susan is the only surviving timber-built Chelmer barge. She was built in 1953 by Prior's of Burnham-on-Crouch for Brown's Timber of Chelmsford, and closely resembles the traditional horsedrawn Chelmer Lighters which worked the Chelmer and Blackwater Navigation from its opening in 1797. Brown's, founded by canal engineer Richard Coates, was both the first and the last firm to use the Navigation, running barges up from Heybridge laden with timber until 1972. Brown's successors, Travis Perkins, are still based at Springfield Basin, which in recent years has been reopened to canal traffic. The Chelmer and Blackwater is a shallow navigation, and Susan was made, like the traditional lighters, wide, shallow and flat-bottomed, to take a maximum load of 25 tons with very little draught. She is made of oak and pine, with elm bottom planks. The wide boards around the barge's topsides were used as walkways when the boat was piled high with her timber cargo. 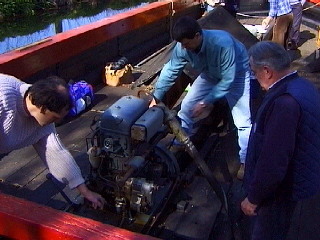 Susan is driven by a twin-cylinder Thorneycroft diesel engine. To maintain the shallow draught, the propeller is set up in a tunnel formed in the hull, with twin shallow rudders either side of it. The helmsman stands on top of the tunnel. When the timber-built barges used by Brown's were Superseded by steel ones, Susan was taken over by the Chelmer and Blackwater Navigation Company and used as a maintenance boat and, once a year, for the directors' inspection of the navigation. 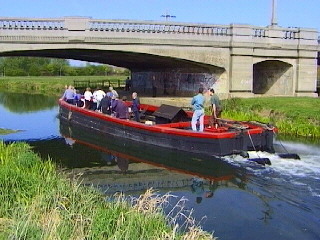 In 1976 she was bought for preservation by the Inland Waterways Association. A special group, the Chelmer Lighter Preservation Society, was then formed to look after her. In the 1980s she passed to Passmore Edwards Museum, Newham, and was restored by Cookes of Maldon. 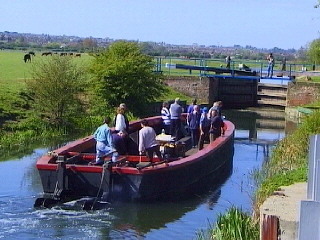 Susan was transferred to Chelmsford Museums and brought back to the Chelmer and Blackwater Navigation in 1991. Susan is maintained and run with the voluntary help of the Chelmer Lighter Preservation Society. Moored at Sandford Mill, the site of Chelmsford's developing Science and Industry Museum, she forms a unique link with the earliest days of Chelmsford's industries. In early 2006, Susan's ownership was transferred to The Susan Trust.